Cedar Rapids Photographer | I got to work with Val and Whitney again this last week and captured some adorable sister images of them for their parents. It was great to see them again and see how much they’ve grown up since last summer when I first met them. 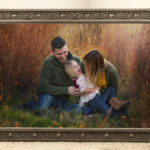 I’m looking forward to seeing them again later this year for their family portrait session with Mom & Dad!